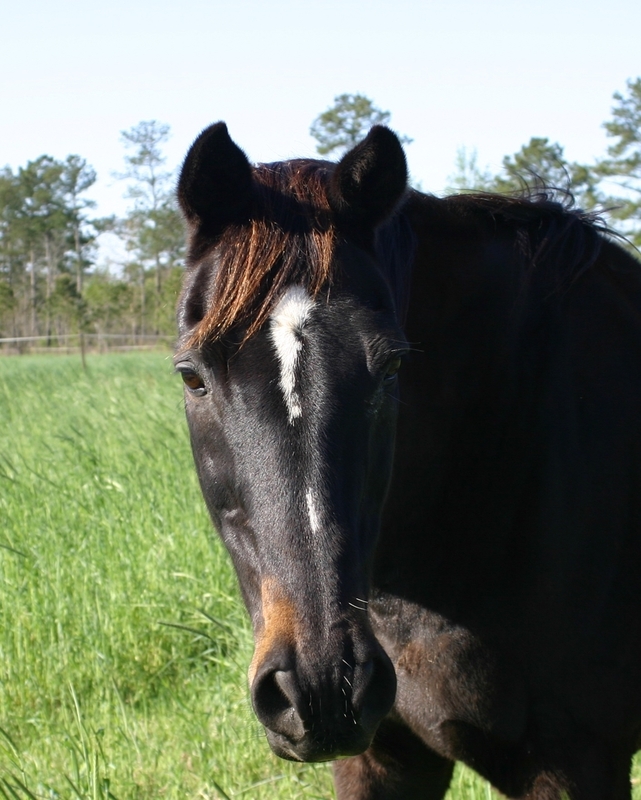 An initiative launched by the Thoroughbred Retirement Foundation gives donors an opportunity to help provide for the care of a former racehorse while getting the feel of horse ownership without the added responsibilities. If a donor chooses to become a sponsor, which starts at $250, the TRF will send regular updates on the horse and may allow visits as well, depending on the horse's location. "It is like having your own horse," said Jennifer Stevens, assistant director of development and horse sponsorship for TRF. "Horse Sponsors receive a personalized package about their horse that includes pedigree, past performances, and photos of the horse. In addition, there are different gifts depending on donation level," she said, adding that most of the horses available for sponsorship are part of TRF's Second Chances program at correctional facilities. "Throughout the year we send updates on the horse with photos whenever possible. Most people want the option to visit their horse, and we can usually arrange that depending on the program that particular horse is in. It is best to know if someone wants to visit before we pick out their horse," Stevens said. Esteemed Friend, who won more than $800,000 in 69 starts, is part of TRF's herd. Photo courtesy of TRF. With 24 locations in nine states across the United States, the 800-horse herd owned by TRF consists of some adoptable off-track Thoroughbreds and many long-term retirees that are unable to be ridden or adopted (around 200 of their horses are 20 years old or older). 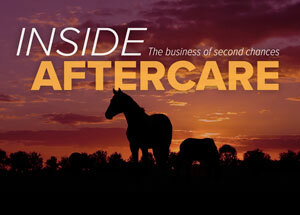 The Thoroughbred Aftercare Alliance-accredited organization estimates that many of these lifers—most of the horses needing sponsorship—will remain in their care for 10-15 years and cost approximately $2,500 per year per horse. This puts the cost for one off-track Thoroughbred anywhere from $25,000 to $37,500 for the organization. While some breeders or past owners help pay for their care, the organization said only 5% of its herd is fully supported by former connections. From the sponsor's perspective, the way Stevens and the TRF view it, $250 for one year is a workable donation for many who are interested in giving to a charity. While a $2,500 platinum sponsorship may be out of reach for an individual, groups of horse lovers have joined forces to share in a retired racer like a syndicate. "Sponsorship starts at $250. If you break that down it is only $20.83 per month, which is really like one lunch out," she said. "Our goal is to get at least $1,000 for each horse. A platinum sponsorship fully takes care of a horse for one year for less than $3 a day. Often there are several people sponsoring the same horse that allows us to get to that level. One group of friends even created a 'Syndicares' sponsorship where each person pledged $1 a day to care for a horse we rescued." Some of the horses needing sponsors are listed on the TRF's website along with short biographies that Stevens hopes will grab someone's attention or spark a memory of good times at the track. For horse lovers unable to have one of their own, a TRF sponsorship may offer a next-best option. "Usually someone will choose a horse who speaks to them in some way—the name, the pedigree, where it raced, the physical location of the horse or sometimes just how the horse looks will remind them of a horse they once knew or loved," Stevens said. "Sponsoring a horse is a great way for people who love horses or racing to help out a former racehorse."